Our indoor areas have been specifically crafted to provide a relaxed, yet stimulating atmosphere and the freedom from claustrophobic classrooms. At Anan, there are no classrooms. Every space for learning is a lab. We have Four Core Subject labs and Four Skill Labs. 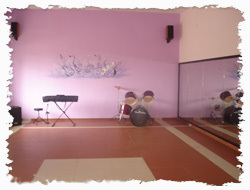 Dance Music Gym is a skill lab where the co curricular activities are taught to the students. Performing arts lab encourages students to stretch their imaginations and tap into their creativity. From the earliest years, our rich arts curriculum develops critical thinking, increases attention, leads to language enhancement, and bolsters a sense of self-worth. 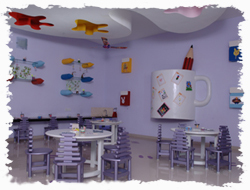 Creative Corner provides the students an opportunity of bringing more skill to their fingers and expanding their creative horizon. 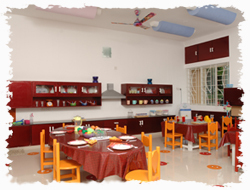 Self help skills like basic etiquettes, table manners and also cooking are taught to the students in home corner. The Science lab at Anan provides an atmosphere of experiencing and learning science. In Math lab the students work on numeracy, explore patterns, explore the representation of numbers, play math games, and investigate shapes, count and more. Students are exposed to rhymes, videos, slide shows, mouse control games and MS Paint activities in the multimedia lab. 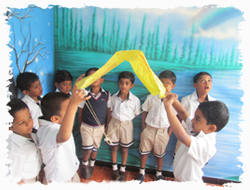 The Language Lab aims to instill the basics of the language appropriate lucid in a child manner. It provides appropriate take-off ground by developing reading ability, imposing pronunciation checks and consequently written skills. 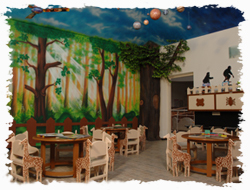 The Sky corner one of the environmental labs, help the children to understand more about climate, seasons and environment with a lot of activities related to them. 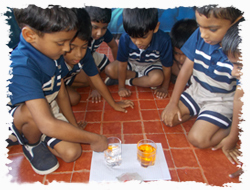 The water corner, help the children to understand more about the environment with a lot of activities related to water and issues like pollution, global warming and conservation. 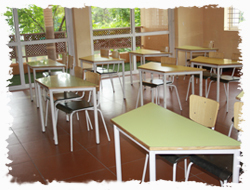 Each class is digital and planned with an exclusive reading corner and a green deck. The green deck has been especially conceived to aid natural ventilation and lighting and ensure a special space for the child to explore after completing work within the classroom. 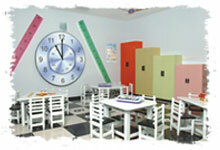 The reading corner enhances the ability of the child to develop in vocabulary and reading. 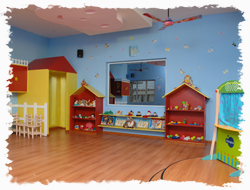 The classrooms are spacious and innovatively designed to stimulate holistic learning. Our digital aids provide teacher-led content solutions to enhance student learning outcomes. 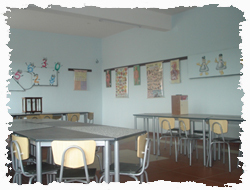 Each classroom is fitted with a smart board, which is connected to an overhead projector. 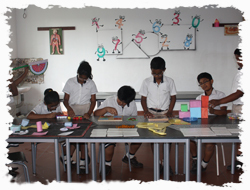 They help make teaching and learning an effectual, interactive and fun process. No learning would be fun without practical demonstration. 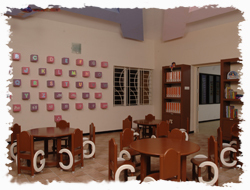 We have built state-of-art laboratories for Math, Science and Computer. 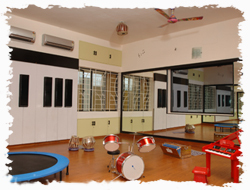 Each of these labs is equipped with a variety of subject-relevant equipment to allow for an experiential learning process, at a pace suitable to each child’s abilities. 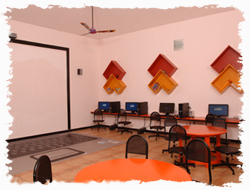 The school has a Multimedia lab that helps to develop a deeper understanding of technology and its working in every child. We ensure that basic knowledge of computer is given to a child right from Pre-KG. It has the latest hardware and software, giving the students an infrastructure to enhance their computer skills. 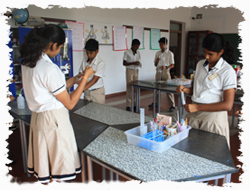 The lab is equipped with the latest equipments catering to the senior secondary curriculum where students carry out their experiments in an innovative environment. Meaningful learning will occur where laboratory activities are a well-integrated part of a learning sequence. 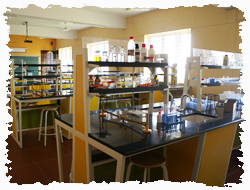 The Chemistry lab is a well ventilated hall that provides a clear and hygienic ambience to carry out experiments. 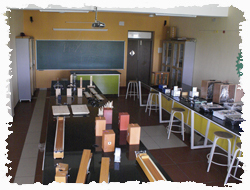 The lab is annually upgraded with the latest equipments and safety gadgets. To provide firsthand knowledge to the students about the subject, the biology lab is fully equipped with all the required specimens, thus helping students to acquire necessary skill and confidence in an innovative environment. We have a well stocked library with a diverse range of books which allow students to travel across time into different worlds. We have educational and recreational books as well as other multimedia resources for both, the students and staff, to access. 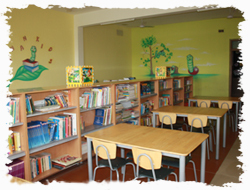 The spacious, airy library has been designed to foster an interest in books and is intended to offer every child the opportunity to explore and develop his or her individual interests.